Churning through Owen King‘s excellent Double Feature with the intriguing The Room up next, but Michael’s latest delivery is slotted on the pile. And on the Butterfly front, possibly to be retitled William Murphy’s Trip to the Quiet Room, no news for you, faithful reader, no news yet. 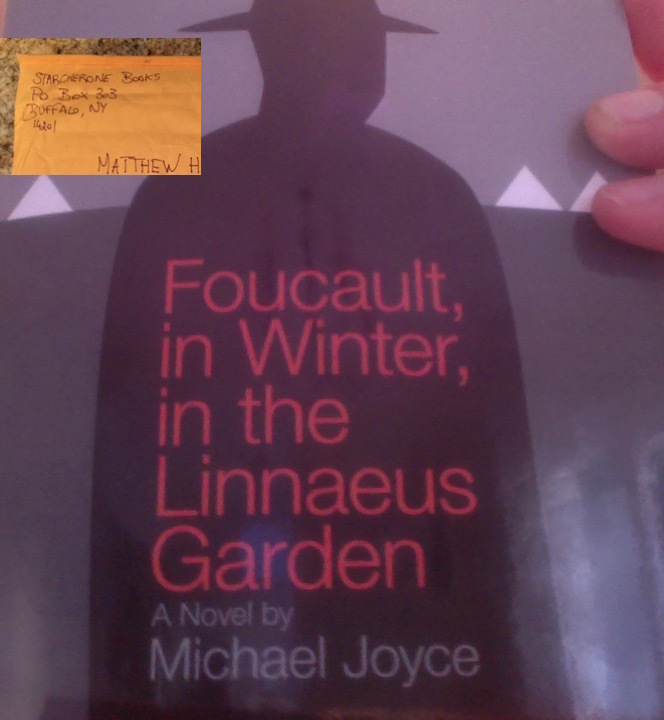 But go to Starcherone Books to get your very own copy of Foucault, in Winter, in the Linnaeus Garden.